I ordered it for the library. So clearly I must have heard about it somewhere. I have no idea, but I'm glad to read your review so I know it was a good purchase! It landed on my radar because of the Booker Longlist - but I think it's going to be a pretty big hit. 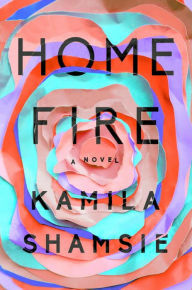 I need this novel (Home fire) for my research but its not available in Pakistan and I dont have a credit card. If someone has, mail me pleas.